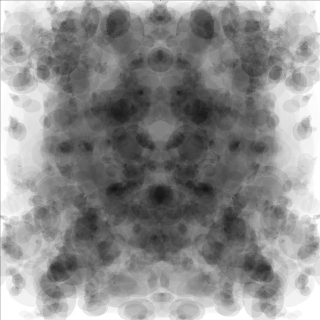 Pareidolia (Mobile Psych Lab • Room 05) is a free version of Average Face. However, it does not synthesize average faces of arbitrary facial images. 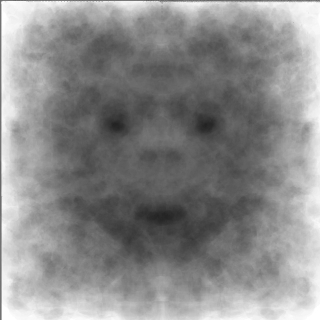 It generates average 'pseudofaces' as noted below. 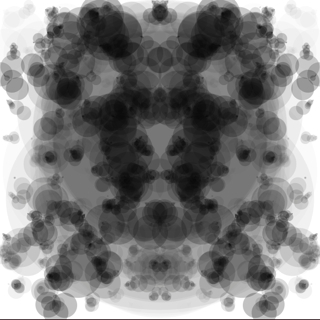 Pareidolia generates random visual patterns like this. Our task here is to find a face in this random visual pattern. 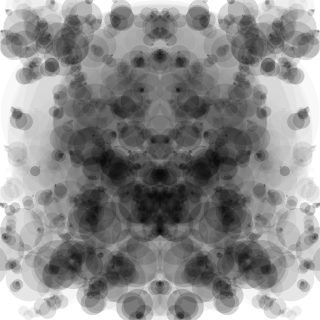 Since I did not see a face in this pattern, I decided to reject this one. 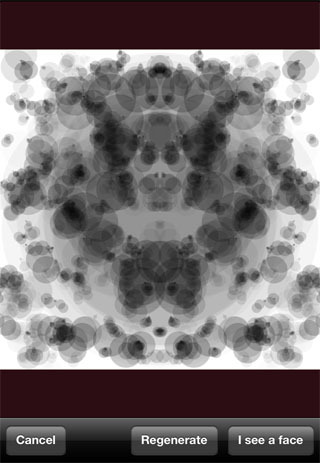 After repeatedly tapping the 'Regenerate' button, this pattern appeared, and I find a face in this pattern. Let us call the faces like these ones 'Pseudofaces'. I placed markers on this pseudoface in the same manner as the Average Face App. This is the second pseudoface. 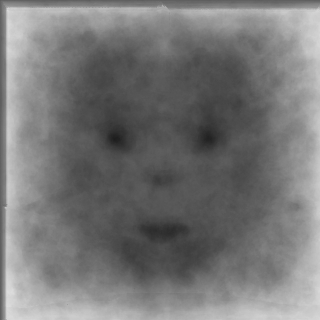 Averaging the two resulted in this average pseudoface. 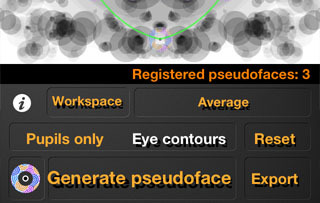 While adjusting the positions of markers for a pseudoface, the markers may obscure the features of the pseudoface. In that case, you can hide the markers by tapping a button at the bottom-left corner.